“The Messiah’s Signature” by Jeanette Chapman-Little, M.Ed. 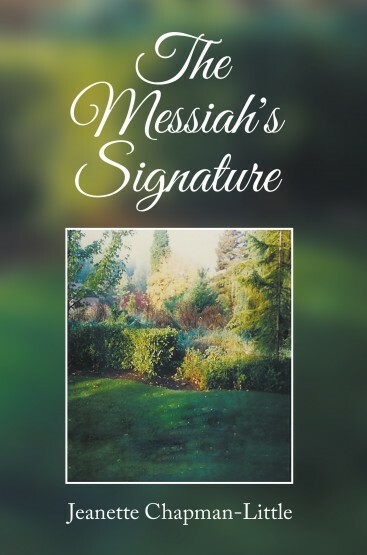 “The Messiah’s Signature” is a collection of poems, prose, artwork, and photographs spanning some twenty years—venerating the beauty of Jesus and thanking Him for his many blessings he has bestowed upon this fallen world. Jeanette Chapman-Little was encouraged by her college professor in Seattle to write, especially poetry. Later, her associates at the San Antonio Christian Writers Group encouraged her to publish. The majority of her work is inspired by pastors’ sermons at First Baptist Church Universal City (FBCUC). “The Messiah’s Signature” is comprised of photographs captured by the author during her world travels. The watercolor paintings include one by her mother shortly before she passed away. The book is now available in select online retailers. Book copies are available at LitFire Publishing, Amazon, Barnes & Noble, and other online retailers. Jeanette was born in Wales then moved to Florida in the mid-eighties. She relocated to Washington State 1990 and Universal City, Texas, in 2000. There she joined a Christian writers group. She received her master’s degree in 2008. Currently, she has just completed her ghost-writing project, which will be published by LitFire Publishing. More information about the author and her work is available on www.messiahsigns.com.